Below is a list of upcoming events at Akron Auto Auction. Running in Lane 1 at 9 a.m. Come early to pre-register! Click to visit autoauctions.gsa.gov to view current run list! Running units in the N lane! Open to public! Running vehicles in the Y Lane! Running In Lane 3 at 9:00am! Why Shop at Akron Auto Auction? 30+ Acre Facility, located in Akron, OH, features six lanes running live and simulcast. Get the most money for your cars by having them cleaned by detailing professionals. Eliminate the hassle and time transporting your inventory to the sale, we have you covered. 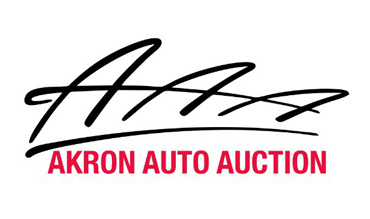 Come to the auction and buy cars on our own internal Floorplan at Akron Auto Auction! View our current OVE inventory!